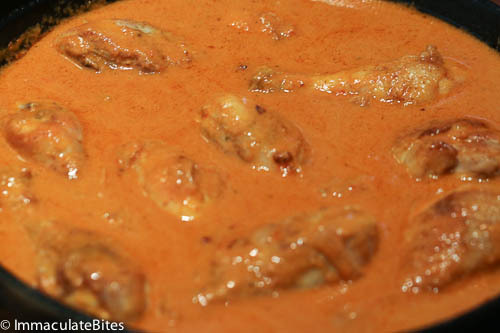 African Peanut Stew-Creamy ,Quick and easy groundnut Stew. In the West, Groundnuts are almost invariably eaten as snack, mixed into salads, or transformed into peanut butter paste. However, in Africa, this nut has been an important source of food for centuries –and it is used in a number of different ways-throughout the continent depending on the region-a little goes a long way. The most common use is to flavor sauces, soups or add thickness any meal. 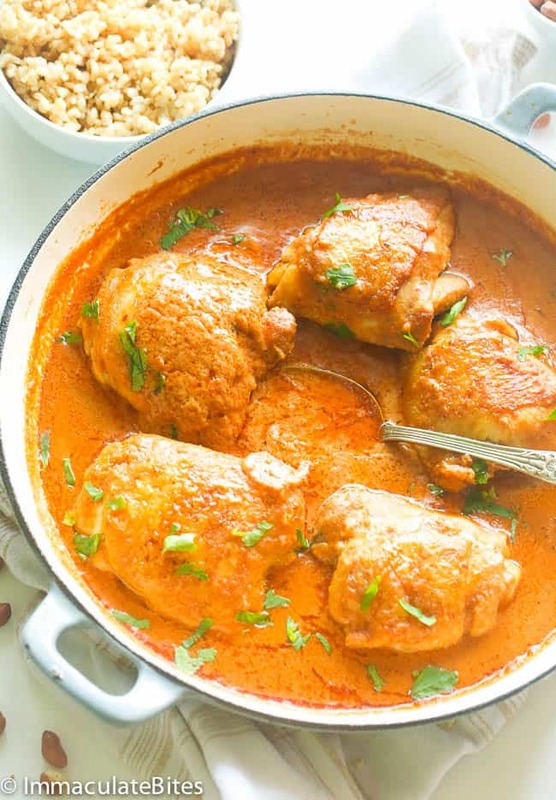 In West Africa, It is used to make this hearty stew – a rich stew with a tempting combination of flavors – garlic, ginger, herbs and of course a little bit of spice. The good thing about this recipe is that it is open to so many variations based on your preferences, availability of ingredients and time. You can never go wrong with this soup. Here, I used Peanut butter paste. You can use any variety depending on what you have on hand- go for 100% Peanut butter for an intensified peanut flavor without the added sugar. It does make a difference. Don’t sweat it though, I must admit that I sometimes use whatever brand I have on hand. Traditionally ground soup or stew is made with peanuts, tomatoes, onions with or without protein depending ones preference. 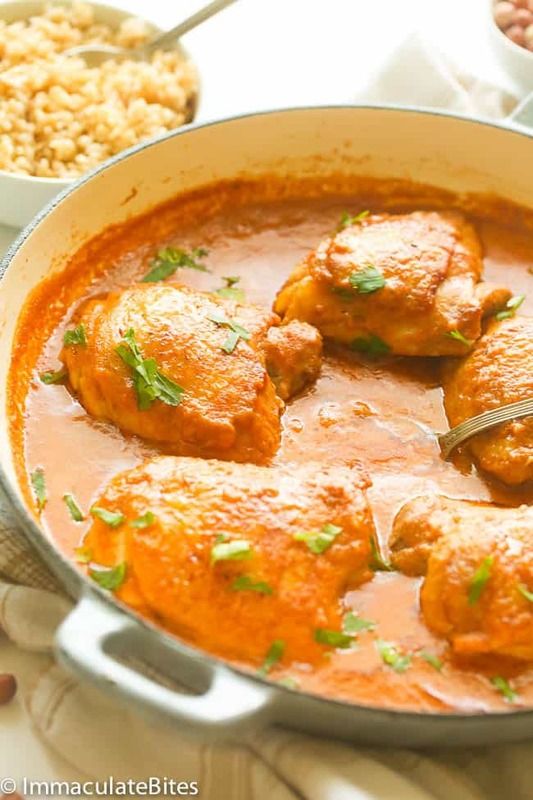 You may use less oil or omit completely for a healthier stew – just omit the tomato sauce. 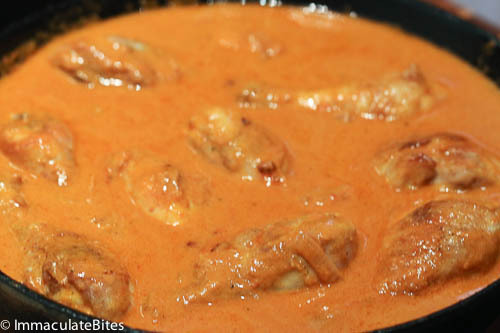 African Peanut Stew - Creamy ,Quick and easy groundnut Stew. 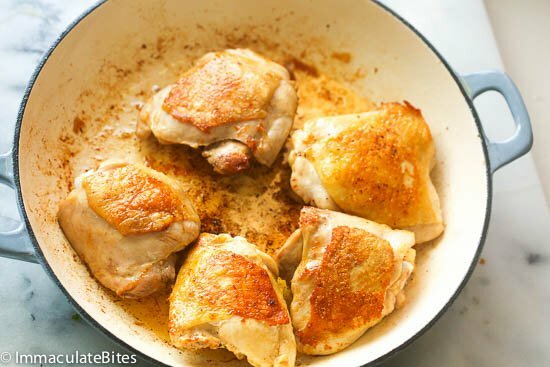 Season chicken with your favorite seasoning – I used creole or just use, salt and pepper. Set aside. 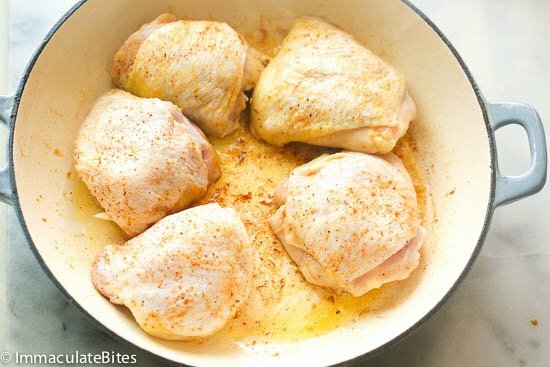 In a large pot or saucepan heat oil over medium heat, then add the chicken and brown on both sides about 5-10 minutes. Remove chicken and set aside. You may skip this step and proceed with the next. 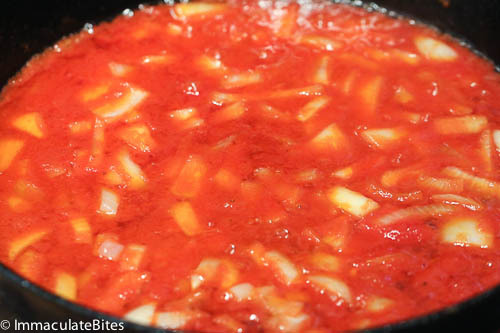 Pour the tomato mixture into the saucepan -bring to a boil and let it simmer stirring frequently to prevent any burns- about 5 minutes. Drip a little soup from your stirring spoon. If you are satisfied with the thickness of your soup, serve it with rice. Could this work with ground lamb meat? What modifications would you recommend, if any? Hi Ck, I haven’t tried this with ground lamb meat , so can’t give you exact measurements or instructions. If I were to try it out I would shape into meatballs , panfry before adding to the stew. I tried it with chicken wings and it turned out great. I like spicy stews so I added a chili pepper and a part of a jalapeno pepper to the blend with the tomatoes, onion, etc. I kept the seasoning for the chicken basic and light by just using salt and pepper. My husband and I both loved it. 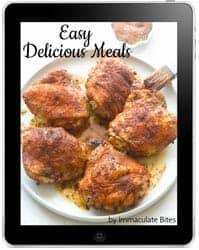 Compliments for a great recipe and an even more wonderful website! I made this tonight to freeze for my maternity leave. It is very good but a very mild flavor. Just checking to make sure that it’s supposed to be very mildly spiced before I freeze it. Yes it is. It’s not too spicy. Congratulations on your pregnancy ; may your new baby bring you abundant happiness! Great recipe. The only things I’ll do differently the next time is to cook my chicken longer before I add it to the mixture. I’ll also double the ingredients because it didn’t produce enough soup/stew. My husband really enjoyed the dish. I look forward to making it again! Thanks or the feedback! So happy to hear it worked out well . Fantastic recipe! One of those dishes where the serving size is 4-6, but somehow there isn’t much left over after dinner for two.. In your Instructions, step 4, you add tomato sauce and paprika, but tomato sauce isn’t listed in your Ingredients. Can you please let us know how much tomato sauce to use? Thanks so much. Yay! Thanks for taking the time to let me know! Would this work fine with almond butter? I prefer the taste to peanut butter and would probably use less as a result. 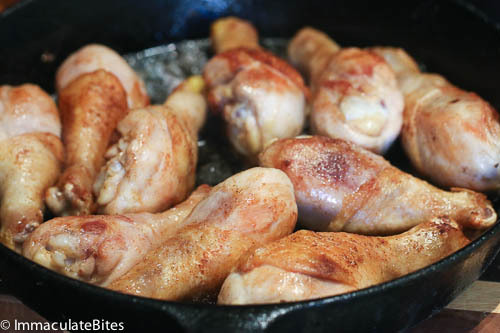 Also, are those 5 thighs alone enough for the recipe? I see the second pan full of legs, so I just want to make sure I don’t attempt it with too little chicken. Yes, the 5 thighs are good enough. But they were extremely big. 6-7 would do just fine. I wanted to know what the 6 the pictures was. 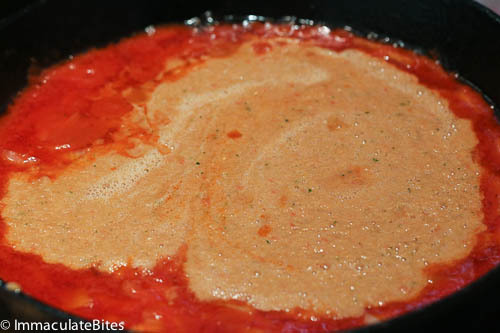 I see blended tomatoes but what is the blended mis on top. What does it consist of? I the blended consist of the herbs, garlic and some onions. 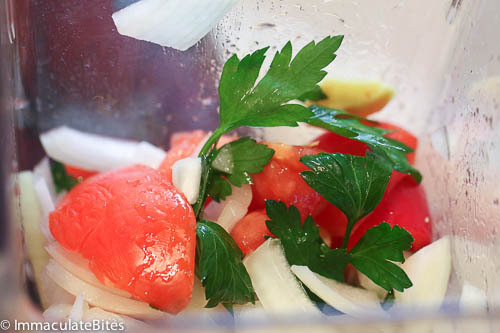 Just blend the tomatoes, garlic , parsley and onions- it’a a lot easier. Always happy to see your stuff Imma!! I haven’t yet tried your recipe, but it looks good. 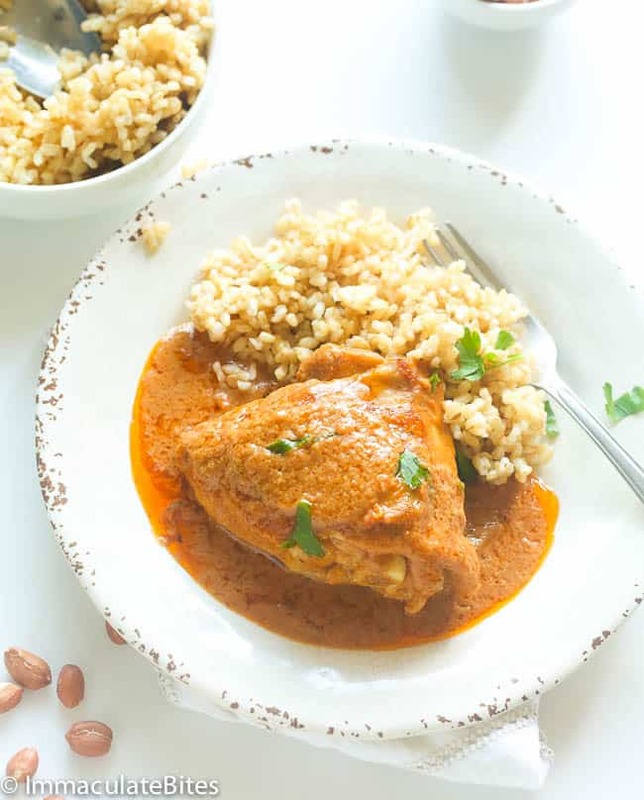 It seems it might be much like the groundnut stew I enjoyed in Northern Nigeria many years ago when my husband and I were at the American consulate in Kaduna. Almost always this was served at parties and it was greatly enhanced by the addition of many side bowls of various things one could sprinkle over the top of the rice and stew: chopped peanuts, chopped green onions, chopped green and/or red peppers, chopped hard boiled eggs, chutney, chopped fresh pineapple, shredded fresh coconut, even bananas. It can look quite spectacular in its presentation and of course it is delicious! OMG! Can’t wait to try out some of those add ins. They all sound good to me. Thanks for sharing Eileen. I was just wondering if I could use fish with this – and if so which do you recommend?? Hi Aby. They are usually available in most super markets, depending on your location. I just realized that in your step by step instructions you state to put tomato sauce. but your ingredients list doesn’t state that ingredient it only says 2 tomatoes. Just wanted to let you know! So nobody messes up like I did. Hoping it still comes out ok! Thanks!! Thank you so much for posting this! Can you post another peanut stew but with grinding the peanuts from scratch like it’s done at home? Semoben, roast groundnuts, the blend in a coffee grinder or food processor and replace with the peanut butter. Just perfect! It is also amazing with less peanut butter (in case someone wants to have it a bit less fatty or rich). Annika thanks for the constructive feedback. It is always welcome! Hi, I tried the pan seared salmon, and it out so delicious. I am making this soup tonight for my family. I noticed that the recipe calls for tomato sauce, but you didn’t list tomato sauce (or how much) in the list of ingredients. How much should we use? Thanks so much for all your yummy recipes. I’m african and just a point of correction, it’s peanut soup and not stew ( not to be rude but just want to clarify it) and we eat with rice, fufu or anything you wish. Blessings…!! This stew looks SO delicious and packed full of flavour. Definitely a recipe I can see myself making.. it is perfect for this weather right now! I can’t wait to try this today!! I did make the stew and it was PERFECT!!! Thank you ImmaculateBites!!!! 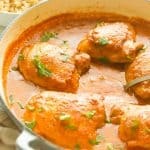 My favorite African stew- this one going on top of my list. Sara,Let me know how this works for you! This looks delicious! Love stews, always so comforting and delicious! Charlene, let me know how you like this one. I’m a big fan of peanut soup, I will try your version this coming Friday…cannot wait. Wow! Immaculate, my mouth is watering. 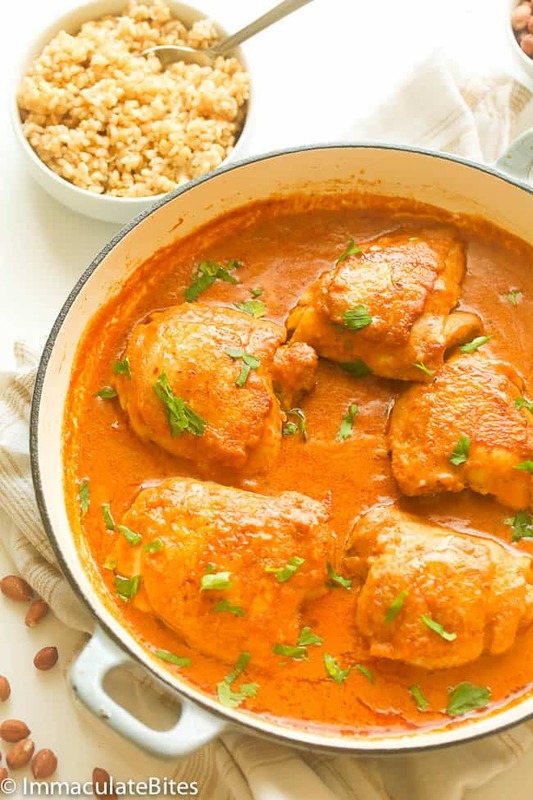 How comforting and flavorful this chicken stew is. It reminds me of several Bahian stews from Brazil. Both have African origins, this is why they are similar in many ways. Dennis, I totally second this. Hi Immaculate. 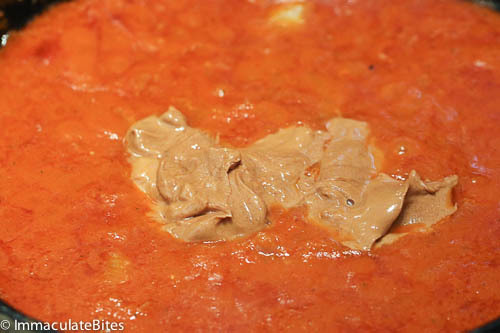 I want do try this recipe but it says peanut butter paste…can I use regular peanut butter? What do recommend? Philo, yes you can. Any peanut butter would work.